Looking At Organic Lawn Fertilizer: What's In It? These days we all are trying to pay attention to the things we are putting into our bodies and into the environment. From the products we consume, all the way down to the products we use to clean our homes, organic products have become mainstream, with choices abound. While Weed Pro prides itself in using some of the safest product choices on the market, we also recognize the fact that some of our customers prefer to go "organic." So in today's blog article, we'll take a look at what's in Weed Pro's organic lawn fertilizer. 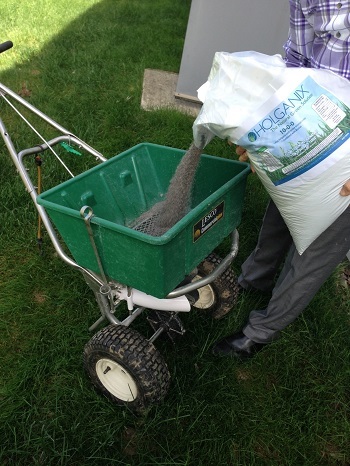 As one of the leading organic fertilizer manufacturers, Holganix believes that "less chemicals" is better. Holganix prides itself on using, "highly evolved, concentrated compost tea with active bionutrients to naturally promote beautiful green lawn growth. *" It is Holganix's belief that by supplementing just a fraction of your traditional fertilizer with their product, you’ll create healthy, vibrant lawns with fewer chemicals. Okay, So What's In It? So all of these products that make up Holganix fertilizer sounds great and all, but does it actually work in my lawn? Good question! Weed Pro prides itself in using only the best products on the market. We, and others, have found that Holganix delivers great results without using a large amount of chemicals on your lawn. Take a look at this video featuring the head groundskeeper for the Pittsburgh Pirates who is a Holganix user! 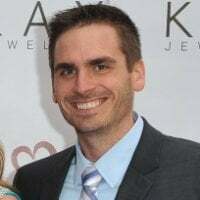 How Do I Learn More About Using Holganix In My Lawn? To learn more about our Organic Lawn Care Program, either click here, or contact a Weed Pro Representative at 866-724-4555. Hiring a lawn care company is an important process that cannot be taken lightly. It's important that you educate yourself on how to find a professional that is trained to apply the safest products to your lawn correctly. This guide will walk you through step by step everything you need to look for when hiring a lawn care company. The best part is that it's yours free, simply by clicking on the button below.